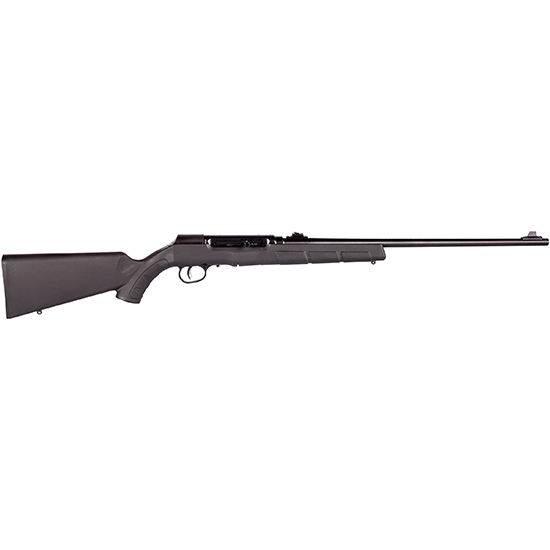 Savage 47200 A22 Target Sporter Semi-Automatic 22 Long Rifle (LR) 22 10+1 Wood Black Stk Blued in. The A22 Target Sporter semiautomatic features a 22inch sporter carbon steel barrel with adjustable sights an adjustable AccuTrigger and a black wood stock. This model comes with a detachable rotary magazine.